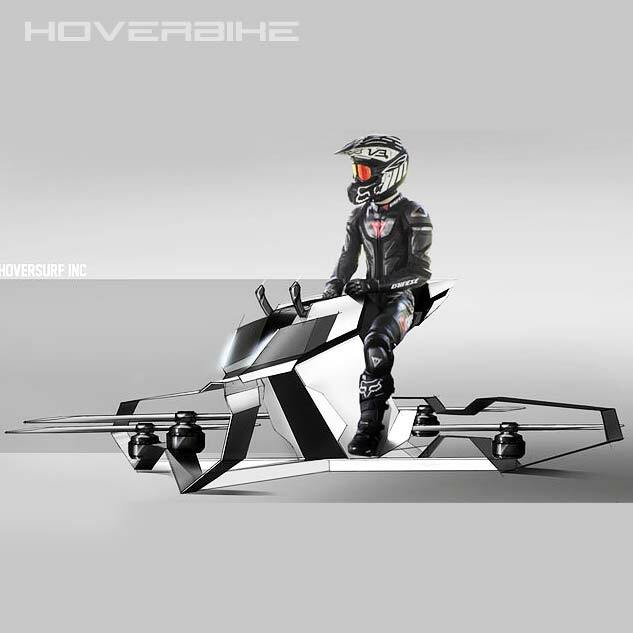 HoverBike – The Flying Motorcycle! Do you know what happens when a flying machine and a motorcycle mates? A hoverbike! Well, for starters – the result would be of course weird; but exciting none the less. This offspring of a cross between an extra large quadcopter and a motocross bike is nothing less than any Star Wars fantasy. Hoversurf, a Russian company that builds drones, posted a video last week showing off its latest prototype: the Scorpion-3, a single-seat, electric-powered hoverbike that can, wait-for-it – FLY!!! It features four open propellers inches from your vital organs. In a video released by the Russian based Hoversurf, a brave soul takes the new Scorpion 3 hoverbike for a spin. It functions surprisingly well but we have a feeling you won’t be seeing it at the dealership anytime soon. “The electric-borne aircraft is intended for both “amateur and professional navigators.” Hoversurf says. As you might guess, considering the potential hazard of crashing, falling off from high altitude or become involved with the Scorpion’s whirling rotors, Hoversurf regards the bike as an instrument of extreme sports activities rather than regular personal transportation. However, with additional development and refinement, mainstream uses in the future are possible. The key to the Scorpion’s successful test is the flight control software that lets the pilot reliably control the bike’s direction, according to Hoversurf.THough, Hoversurf isn’t the first one to create a flying hoverbike, its certainly the best and most rideable we’ve seen yet. But hey Hoversurf guys, call us when you get the safety grills mounted around those four blood thirsty vampires hangin’ around the four corners! This entry was posted in News and tagged Aeofex, E-volo, Ehang, flying bike, flying machine, hoverbike, hoversurf, Malloy, rideable flying bike, scrpion 3, star wars.